I confess, I'm a full-fledged Mommy blogger. Perhaps it happened when I had my first baby. Or perhaps it happened when I quit my full-time job to become a stay-at-home parent. But somewhere along the line, it seems I became consumed by this motherhood gig. To the point that it's literally all I can talk about. I was looking through my recent posts the other day and realized that they are all about my children (in some form or another): my child's monthly update, my child's bedroom, how my children eat. I'm not apologetic. Above all, this blog is for me. And right now- I want to talk about motherhood. I want to talk about my children. And I want to document this precious time in their lives to look back on later. "We have got to stop using the phrase 'My children are my life.' That is much too big a burden for our children to bear." There's no doubt that motherhood is all-consuming. It's the nature of the beast. But I have to stop making my children my life. Not even just for my sake, but for theirs. I want my children to be humble. They cannot gain humility by being the center of someone's entire world. I want my children to love and be kind to themselves and others. They will not learn self-love if they don't see it demonstrated. Above all, I don't want them to spend their lives doing what will make Mommy happy or avoiding what will disappoint Mom and Dad. I want them to spend their lives doing what they know to be good, right, and just. I don't know what this means for my blog. It may not mean any changes at all. I write what I feel led to write. One of the side effects of having two young children is that it can be very isolating. 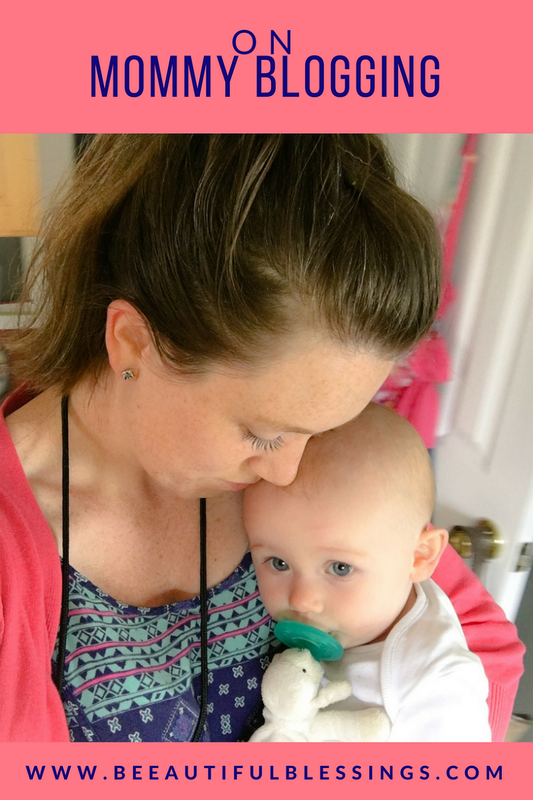 Sometimes I just need to verbally work my way through the woes of motherhood and this space allows me to do that. To many who don't "get" blogging, they may not see or even believe in the true community that happens as a result of blogging. But it's true. It's there and I've experienced it. So long as I'm a Mommy, I'm also going to be a Mommy blogger. However, I am making a promise to myself that being a Mommy blogger doesn't mean I have to stop being me. Hopefully, this blog will be somewhere that people come because they believe in what I have to say. Not just because my kids are hella cute. (Though I wouldn't blame them). With that being said, and at the risk of sounding like I'm fishing for compliments (I promise, I'm not), why do you read this blog?